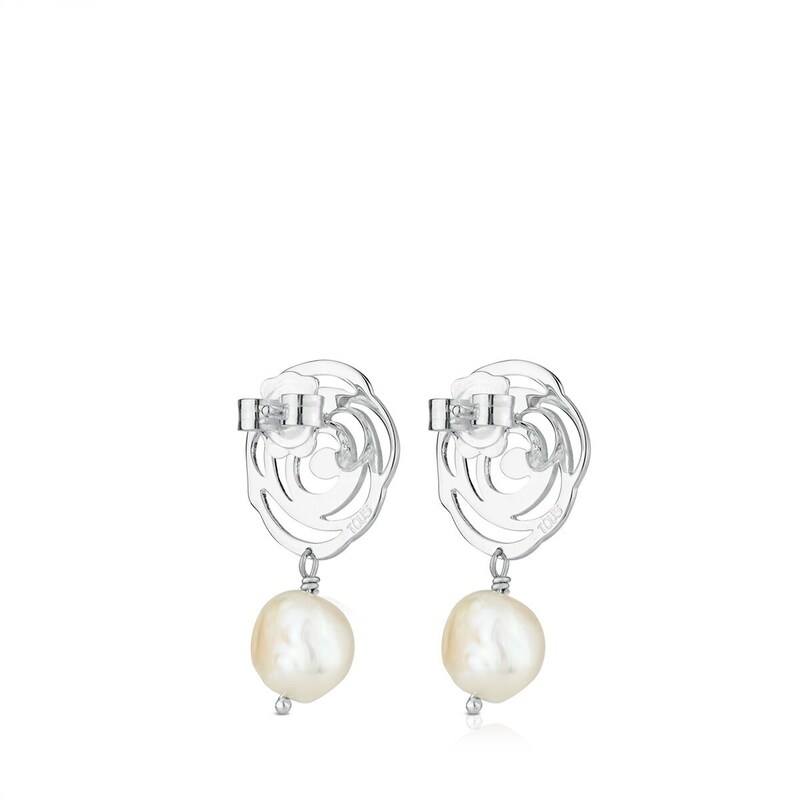 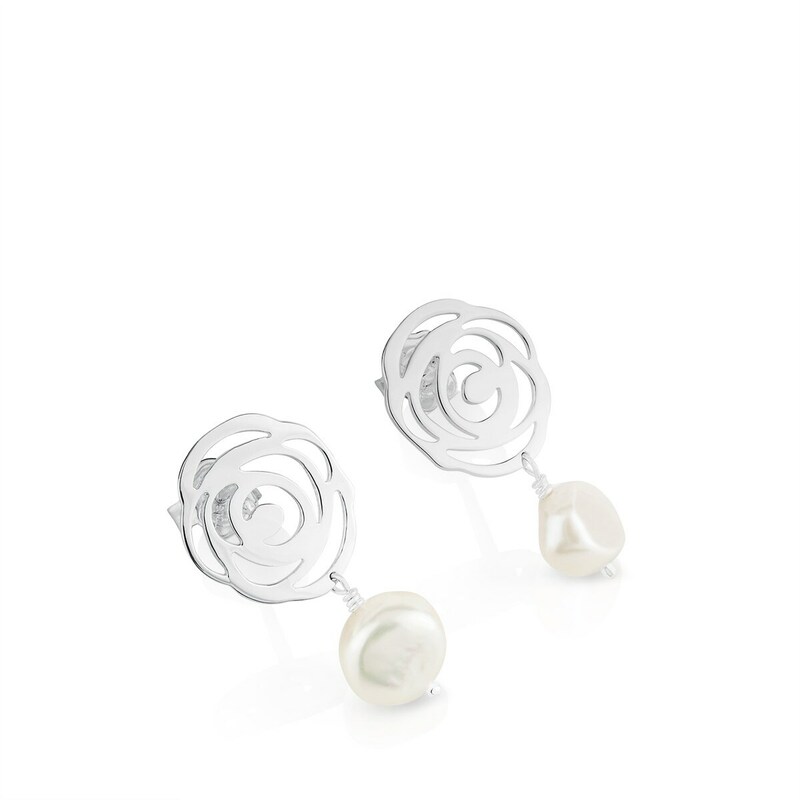 TOUS Rosa d'Abril earrings in sterling silver and cultured freshwater pearls. 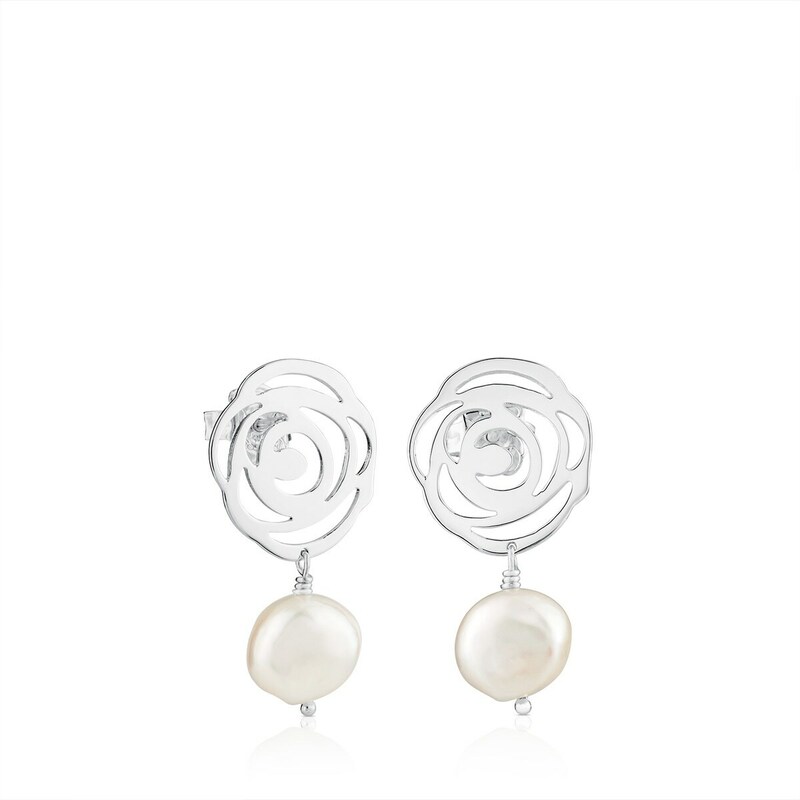 Pendant: 1.5 cm. 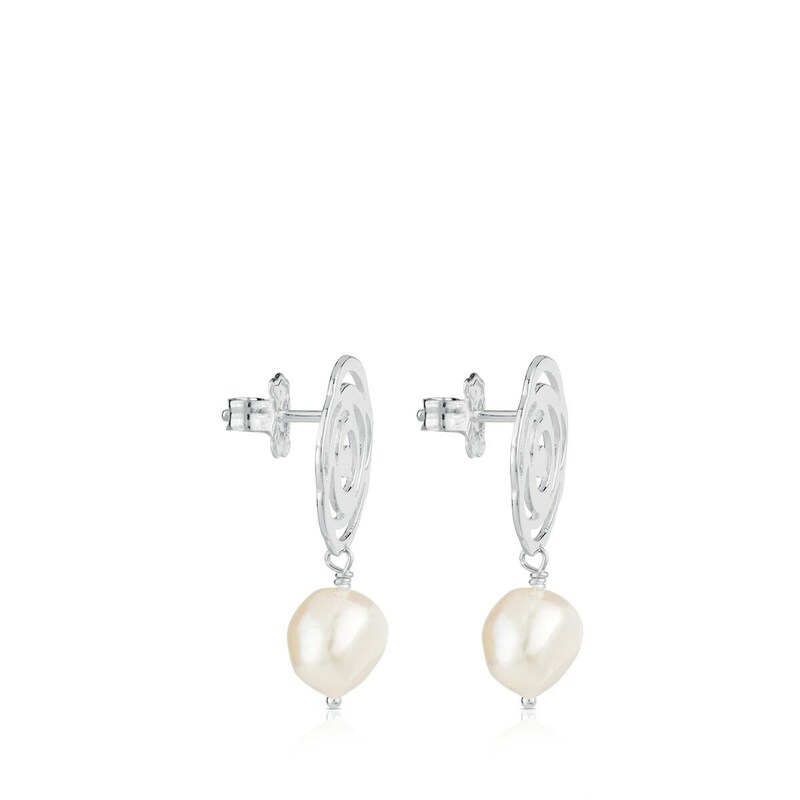 Earrings: 3 cm.